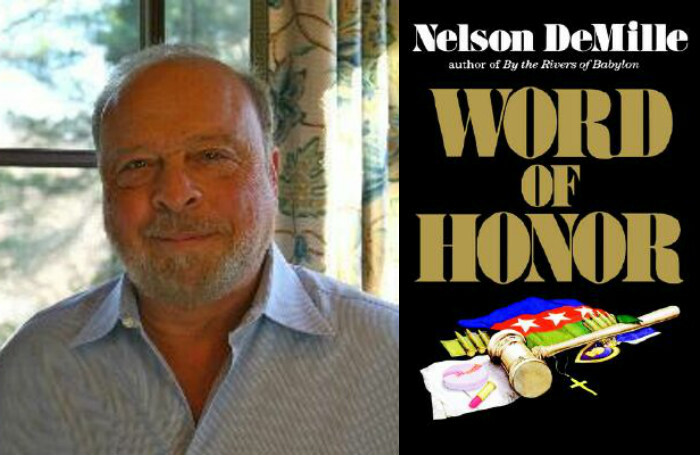 Long Island native Nelson DeMille’s 1985 novel, Word of Honor, concerns a My Lai-like massacre during Vietnam that makes headlines a decade after the Fall of Saigon, long hidden by its perpetrators but brought to light by a chapter in a journalist’s new book. DeMille’s protagonist, the one-time lieutenant of the company that committed the atrocity, deals with the social and familial fallout of the revelation, and then the legal one—the army reconscripts him and court-martials him for murder, the only charge on which the statute of limitations has not expired. It’s actually a quite excellent book—even from my highfalutin standpoint—even though you’d expect to see it advertised on the subway or on a shelf at RiteAid. DeMille was a Vietnam vet, and he writes about the war with well-considered world-weariness and a Le Carré-esque moral complexity that turns every side into the bad guys, whether during the war or years later. What does this have to do with Bay Ridge? The character, Ben Tyson, in the years after his discharge made himself a successful businessman and familyman with a home on Eton Road in the ritzy New York suburb of Garden City, Long Island; when the Army forcibly reenlists him, it makes him a deal—he’ll be stationed close to home. And because there’s only one active military installation in New York City or Long Island, he winds up at Fort Hamilton! It takes 24 chapters and 300 pages for him to get there, but the book is more than 750 pages long, and the rest of it is almost all set on the base, so it’s a substantial chunk of the novel that takes place in our backyard, forming the backdrop for all the emotional family moments, the humorous lunches with lawyers, the dramatic trials—everything. The funny thing is, the words “Bay Ridge” (or “Dyker Heights”) don’t appear once. Tyson is on duty or under arrest, so the bulk of his actions are confined to the base, and when he’s allowed to leave, it’s almost always to his home on Long Island or the restaurants and offices of Manhattan. There are allusions, though, that locals would pick up on, such as those to Fort Hamilton High School, when Tyson’s wife and son move onto the base with him. In Chapter 34, he leaves the base with his lawyer for a walk and gets as far as what sounds like Denyse Wharf before heading back. Here’s all the scenic description with the dialogue cut out. Anyone who’s ever visited the base or looked at maps will recognize many locations, described in detail, from the Community Club bar and restaurant, adapted from the old fort (“Marcy said, ‘This was a fort?’ ‘Not this part. This is the new dining room. Most forts don’t have picture windows.’”), to the post chapel, where the court martial is set (“there was no longer anything visible to make this altar area look sanctified; it could have been an auditorium stage, and was no doubt designed to be transformed from religious to secular by the switching of a few stage props”). In fact, Tyson’s assignment upon arriving at the base is to assist the curator of the Harbor Defense Museum, and there are several episodes there, including guided group tours. Benjamin Tyson stood in front of the tunnel-like opening of a large artillery casemate and faced a group of about twenty senior citizens crowded around waiting expectantly for his next piece of useless information. There was no one else in the museum except this group, and he suspected that very few people came on their own. The museum itself was interesting…The caponier was a nearly perfectly preserved specimen of mid-nineteenth-century military architecture. The redbrick pillars rising into the arched ceilings were an appropriate setting for the martial displays. The displays themselves—cannon, muskets, sabers, uniforms and such—were not unique or particularly good examples of their type, but set in the old fort, in situ, so to speak, they took on a more immediate significance. Still, Tyson thought, as someone once said, museums were the graveyards of the arts—in this case the martial arts, which were themselves inextricably linked to graveyards. Others may just appreciate his frequent references to the Verrazano Bridge and life on the Narrows, to which we can all relate. They walked down to Sterling Drive, which overlooked the Shore Parkway. Tyson gazed out over the water. There was something undeniably magical about harbor lights and boats on a summer evening.